We would love to add 4-6 new chapters in the new year! So...who do you know??? Do you know anyone in another state or perhaps someone you know does. Help us spread the word so we can get more chapters up and running! This month we welcome Jessica from Oak Creek, WI! This is our 11th chapter and we are so excited to have the Milwaukee area being served now, yay!!! Take a look at the map...we would love to have more birthdays celebrated in more states! 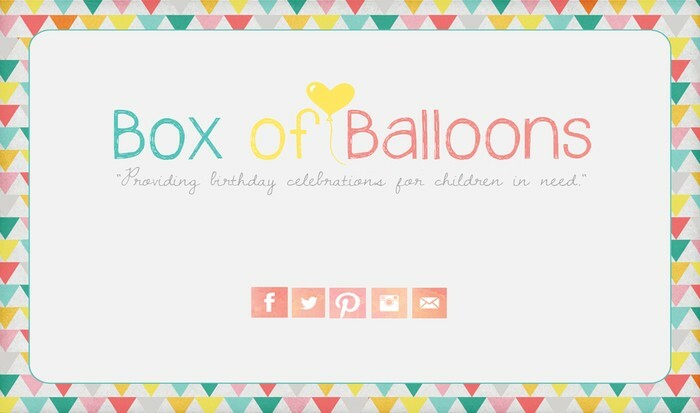 If someone is interested they can email contact@boxofballoons.org OR fill out this application. We gave 25 birthday parties to children in need last month!!! Have a question, suggestion or comment? Make sure to use our Facebook group specifically for chapter leaders! There you can find forms specific to chapter leaders, photos and info!! !